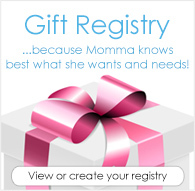 The Sweet Pea Newborn Cover is a perfect cover made especially with your perfect bundle in mind! 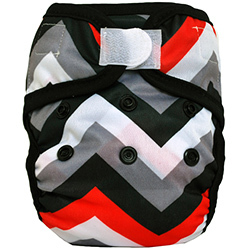 Sweet Pea Cloth Diaper Newborn Covers are now designed to fit your newborn right from birth! 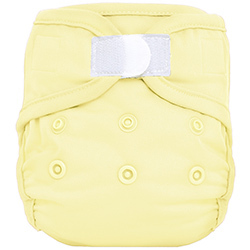 These too come with the same double gussets that mums have been raving about in the one size covers as well as a snap down rise to get that perfect fit for newborn allowing extra room for growth! 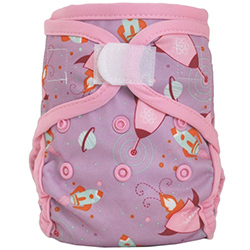 These Sweet Pea Diaper Covers have gentle elastics on the legs so you do not have to worry whether or not your precious cargo is comfortable and allow you both to get a good night`s rest! 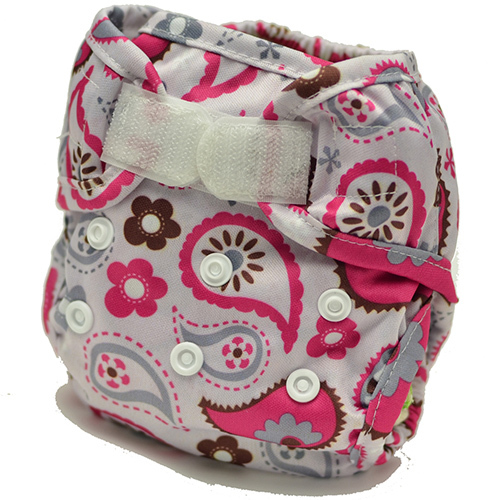 These Sweet Pea Newborn Diaper Covers are great with newborn fitted nappies or our gorgeous Sweet Pea Prefolds! 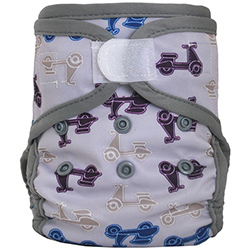 Imagine Newborn Diaper Covers make cloth diapering easy! Pul is thin but does the trick. Hoop and loop is great for skinny waists. Got this in red. Colour didn't bleed at all during washes. Elastics held up pretty well over the life of the diaper, but not as well as some of my other brand. Would prefer a tummy elastic as well to keep skinny waists secured. I really love this cover! It is very soft and trim, not to mention a great price. I loved the velcro and always got a great fit with it on my daughter. This cover worked really well with pad-folded prefolds. 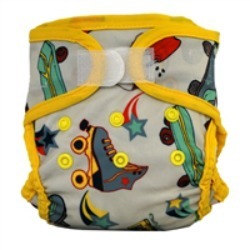 It is very trim under clothes and holds up really well. Definitely stocking up on more for baby #2! Cute print,but not my fav NB cover.small crotch area which is not good for my NB. I got one of these to try on our 2nd baby in September. 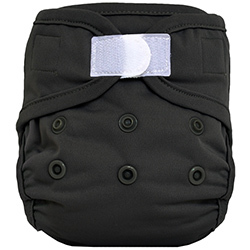 The size is similar to Diaper Rite newborn cover, and smaller than Buttons and Bummis Whisper newborn covers. While this seems like it will be very trim on a newborn I don't think it will last very long (my 1st baby was 9lbs at 1 week). But I'm excited to try it nonetheless! These were awesome the first week with my tiny girl. Didn't last long but great for tiny babies.